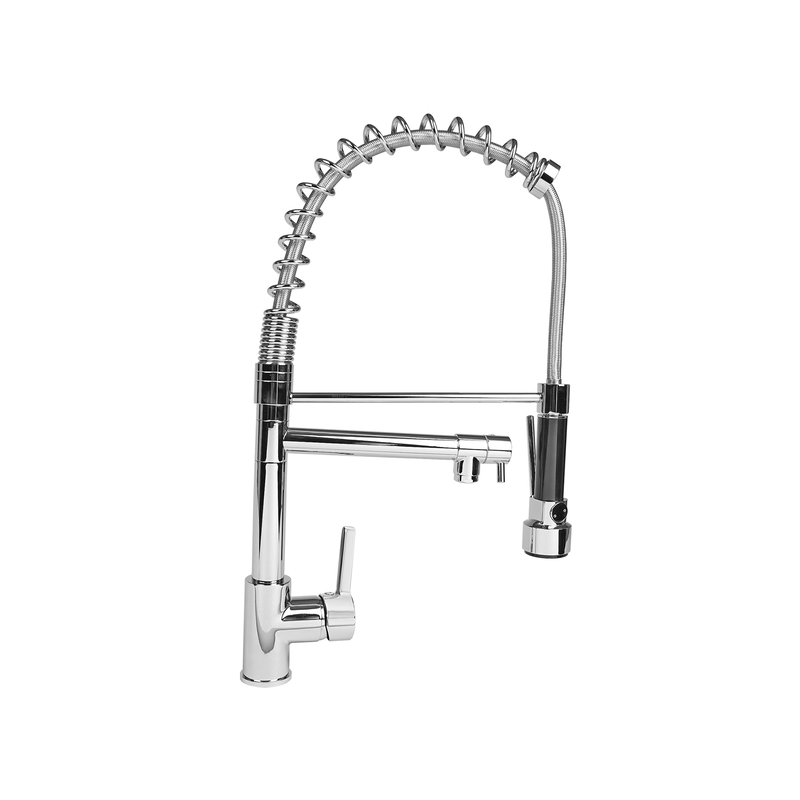 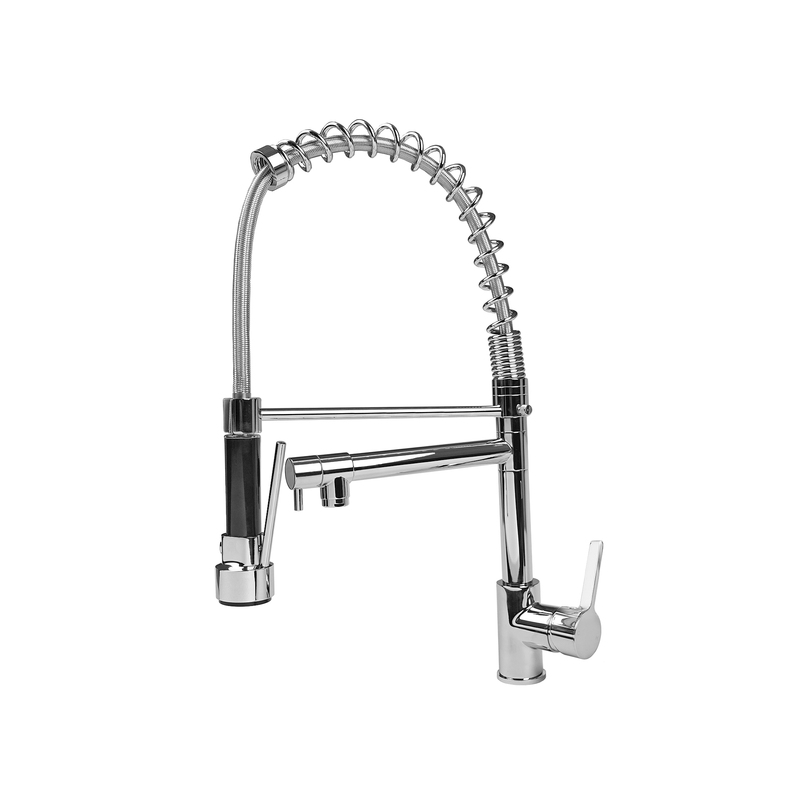 Cosmo Kitchen Faucets presents this modern designed faucet with ceramic disc valve, pull out sprayer, 360° swivel spout, and chrome finish. 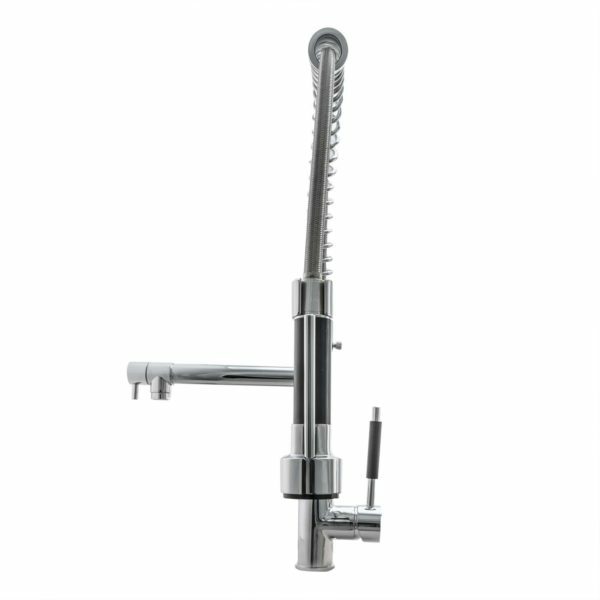 Cosmo Kitchen Faucets presents this modern designed faucet with exceptional styling and functionality. 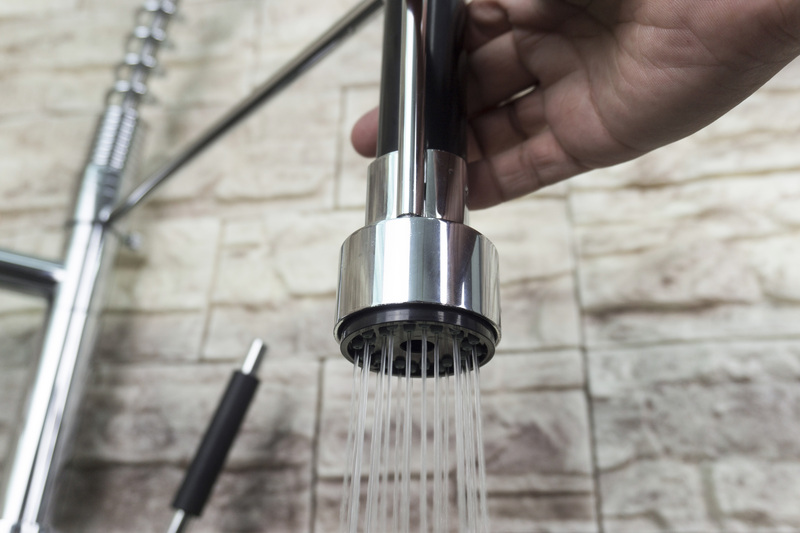 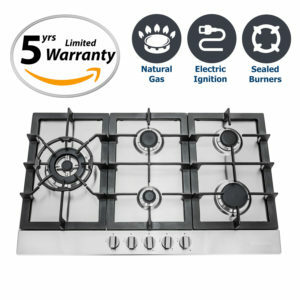 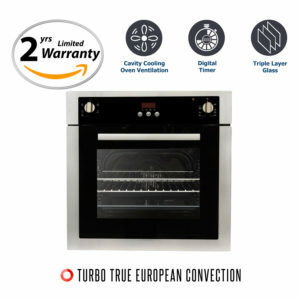 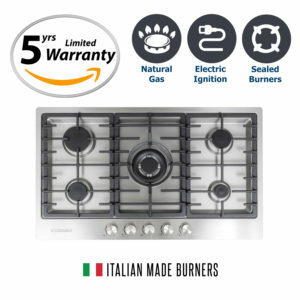 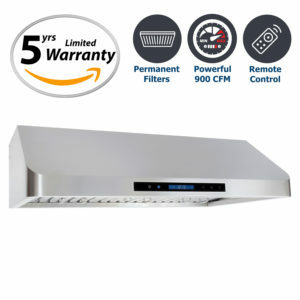 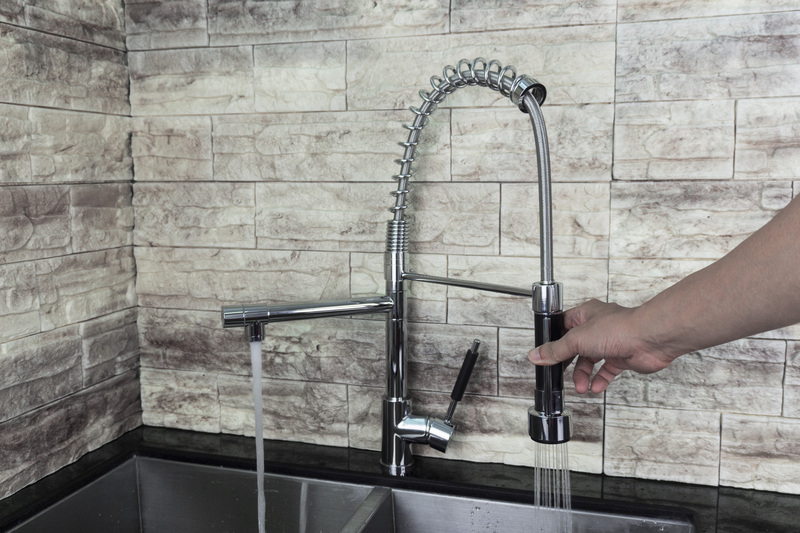 Designed with ceramic discs to ensure long lasting, nearly maintenance free operation free of drips and leaks. 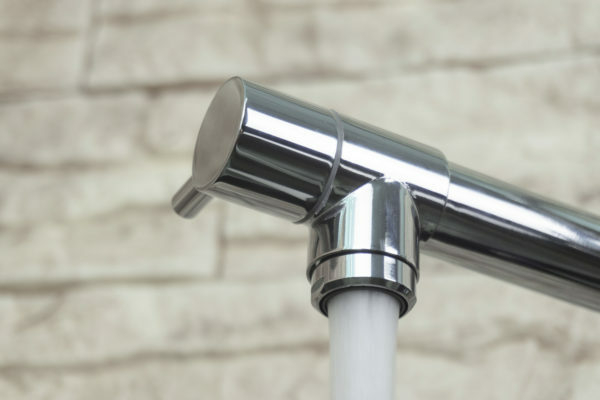 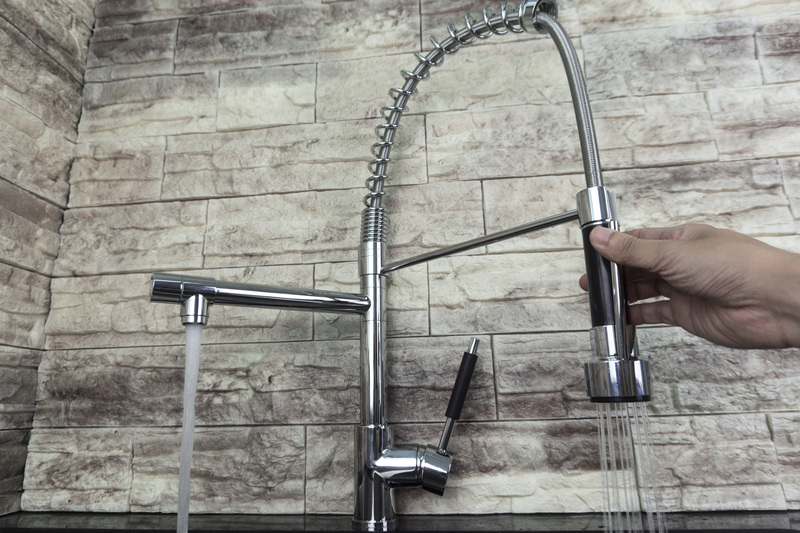 The high-arched swing spout can rotate 360 degrees. 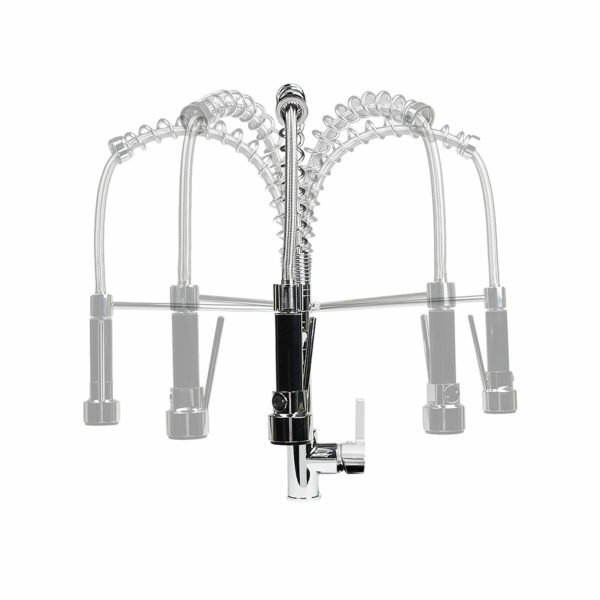 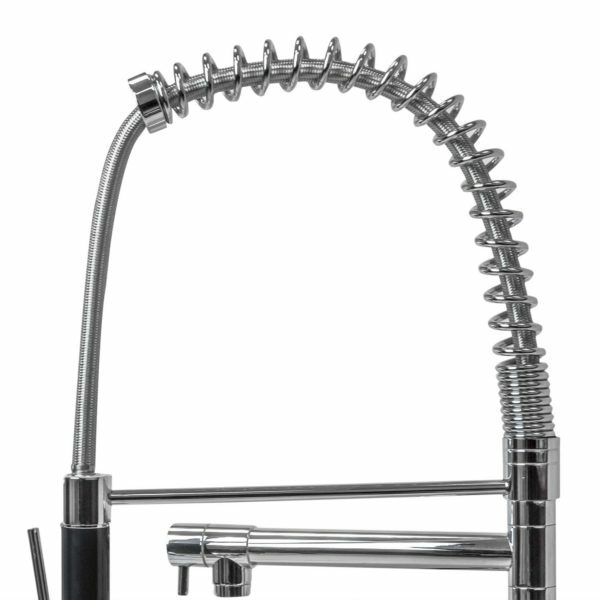 It features a sprayhead that can be pulled out into the sink for close-up cleaning, or out of the sink to fill pots and pans. A rubberized handle with valve on the sprayhead makes it easy to use even with soapy hands. The Spray Mode creates a forceful spray of water for superior cleaning. 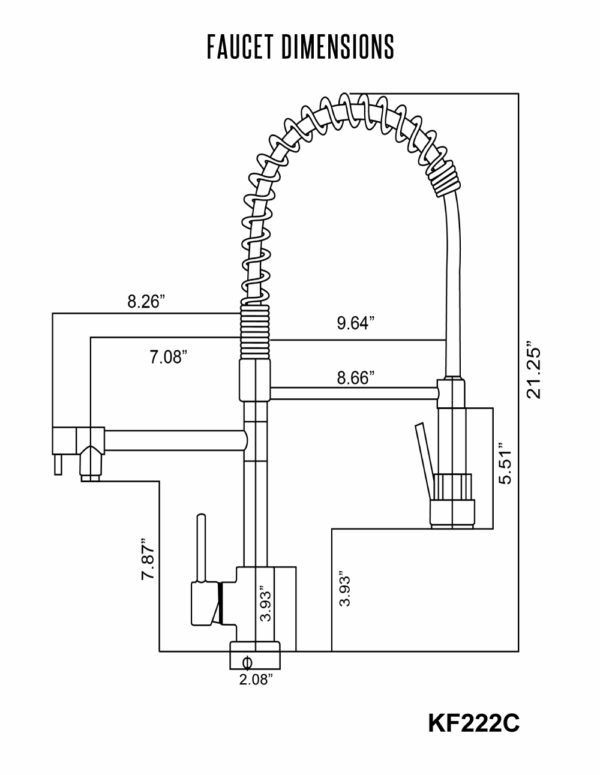 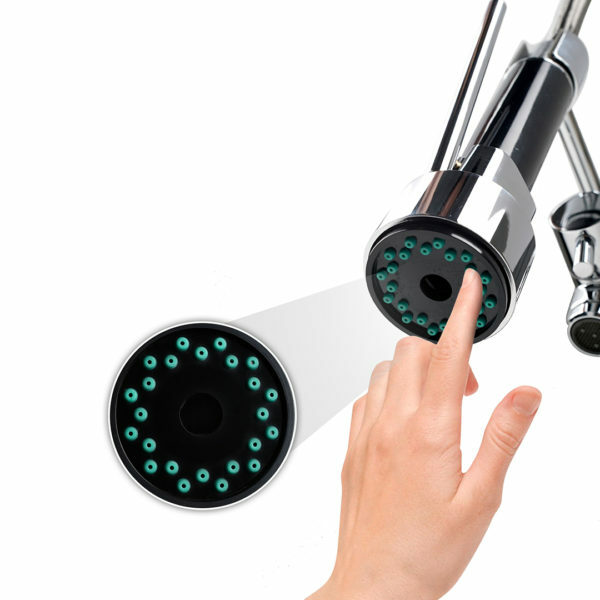 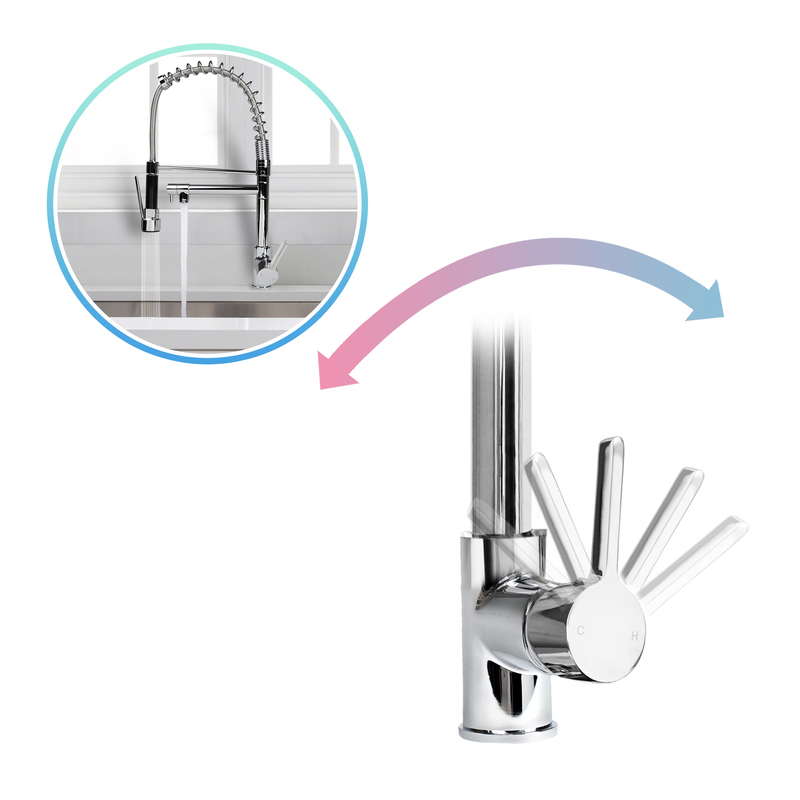 Dual spout: One spout with separate control lever for regular use, and one pull out sprayer spout.